Our little girl is turning out to be a real lover of fashion. This past week was fashion week here in the U.S., and I fed her love by watching with her some of the runway shows on YouTube. She also picks out her clothes (for the most part) in the morning, and even asks for certain shoes that she fancies when we shop together. Obviously, if we let it, her love could mean our empty bank account. But, we’ve found ways to get around that. 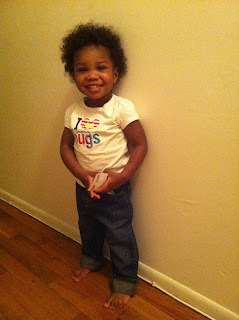 We dress her in boys clothing. 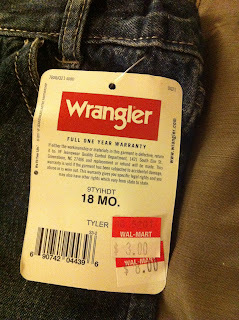 The jeans were on clearance for 8.00 but were now 3.00! I had to grab them up. I was taken aback by the size as well: 18 months. These puppies were WAY bigger than the usual 18 month sizes, and with Duchess wearing 24 months, I figured these would be great. Why did I make a point of getting these boy pants for my fashion forward girl? Well, boyfriend jeans are IN, didn’t you know that? Ha! Also, they have an adjustable waist inside, which means I can “tailor” them to her size. She really needed new jeans, as well. 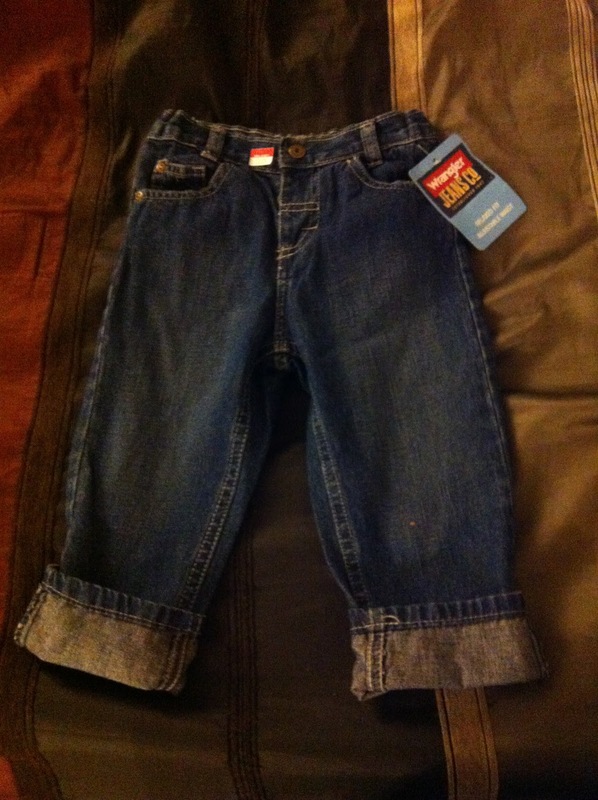 Her three pair that she has are way too small, and with the weather getting cooler, I wanted to grab a pair of jeans to tide her over until I can get back to the thrift store and look for more. The big lesson here is to always look at all of your options for kids clothing, whether it’s in the clearance section at a chain store, the boys section of the thrift and consignment stores, or those hand-me-downs your friends pass on to you. Girls can wear boys clothing, so keep your eyes open for those great finds.